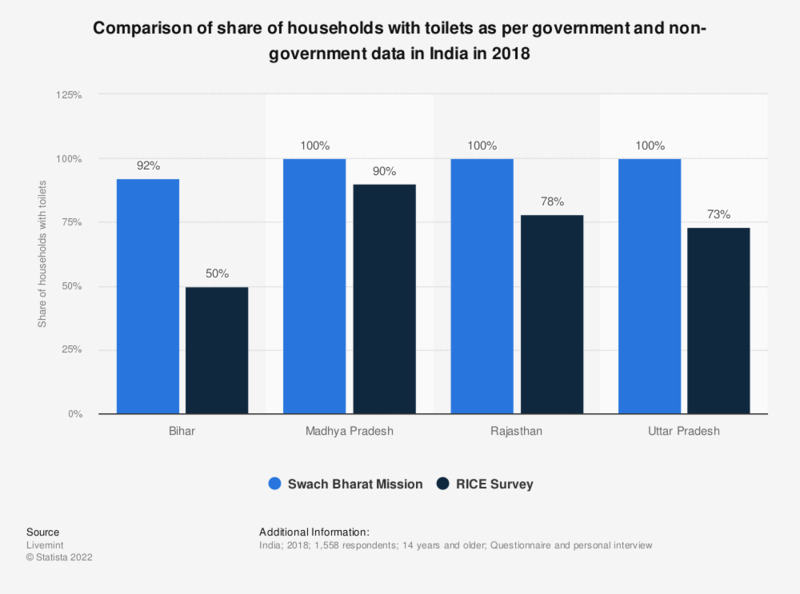 This statistic shows the comparison of percentage of households with toilets as per government (SBM) and non-government (RICE) data as of 2018. It can be seen that as per government data, the state of Bihar has achieved 92 percent sanitation coverage of rural households. Whereas the non-government data found that there was only 50 percent sanitation coverage in Bihar by 2018. Swachh Bharat Mission data taken from Rajya Sabha Unstarred Question No -1478 on December 24, 2018.